After a motorcycle accident in California, a lengthy and detailed process must occur. This process includes a motorcycle accident investigation as well as a reconstruction. During the reconstruction portion, those involved in the process put together what happened in the course of the accident, to determine liability. In order to obtain a favorable outcome in your claim against the other parties, it is important to establish that someone else was liable for the accident. 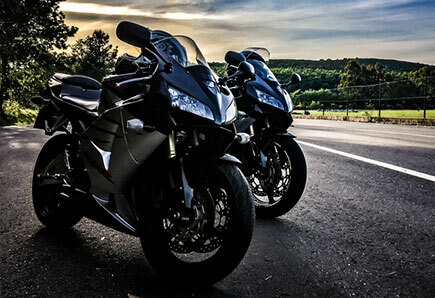 Because there are unique circumstances surrounding accidents that involve motorcycles, it is important that you work with a motorcycle accident attorney–someone who is trained and experienced in these types of cases. An Inland Empire motorcycle accident attorney, especially one who is also a motorcyclist, is a great choice as you would be working with an attorney who understands the law, as well as the unique circumstances and challenges motorcyclists face. Preserving your motorcycle: If your motorcycle is towed and placed in storage, retrieve it as soon as possible. It will be valuable evidence and may also accrue extensive fees that you must pay if left in storage for too long. Your attorney will be able to help you obtain reimbursement for any fees that you accrue if your motorcycle is towed and stored following a collision. Forensic consultation: In addition to documenting the accident with photographs and witness testimonials, you may also need to consult with forensic experts. Forensic experts can use a scientific approach to reconstruct the accident and determine liability using information such as impact forces, vehicle speeds, and the movement of each of the vehicles involved. Expert consultation: There are different types of motorcycle experts that can be called in during an accident investigation in the Inland Empire, including safety experts and motorcycle psychologists. These experts can help conduct a more accurate and comprehensive investigation, and help in the litigation of your case. Juries often do not have the requisite knowledge for a motorcycle accident trial, and bringing in specialists and experts will help explain what juries need to know. This, in turn, can lead to a more favorable outcome. The process that follows a motorcycle accident can seem arduous and overwhelming. One of the best ways to make sure you don’t have to go through it alone is to hire a motorcycle accident attorney in the Inland Empire area who can advocate for you, answer your legal questions, and help you with any legal concern you may have throughout the process. Simply call Inland Empire Motorcycle Law today at (951) 290-3664 to learn more about what we can do for you. Hiring a motorcycle accident attorney who is also a motorcyclist is one of the simplest ways to address your legal concerns after an accident.